An accident in Palmetto Bay has sent a number of people to the hospital on Sunday night. According to authorities, the accident happened when a driver slammed their vehicle into a light pole on U.S. Highway 1 at Hibiscus Street. The car’s engine immediately burst into flames. Police officers arrived at the scene of the crash and used fire extinguishers as they pulled two of the three people out of the vehicle to safety. Firefighters arrived at the scene of the crash and put the fire out and extracted the third accident victim from the demolished vehicle. Eyewitnesses indicate that speed was likely a factor in the crash. Video cameras from across the street at the Car Mart did not capture the crash but did record the aftermath of the accident. All three persons in the vehicle were in their late teens and early 20’s and were transported to Jackson Memorial Hospital. No further information as to their condition has been released. Officials from the Miami-Dade Police Department said that the vehicle involved in the crash had been reported stolen from Miami Gardens from an armed carjacking. Vehicles are stolen every day in the state of Florida. Sometimes after a vehicle is stolen it is involved in other crimes or an accident leaving others injured Even though the owners of the vehicle in this accident were not involved, it can still mean legal headaches for them. If you or a loved one has been injured in a car accident in the Miami-Dade area and after you’ve been seen for your injuries, contact an attorney as soon as possible. 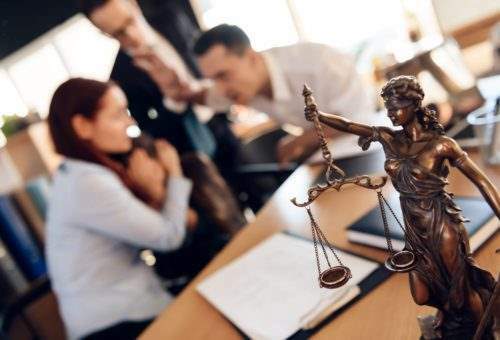 An attorney can ensure that your rights are protected and can even make it possible for you to collect for damages and see that justice is done. When you contact us, we will schedule a free consultation with one of our lawyers who will discuss all of the specifics of your accident or personal injury case. They will then outline all potential options for moving forward with your case. Our associates are committed to being there for the needs of our clients in the greater Miami area. Contact us today for a free consultation and legal analysis with no obligation.